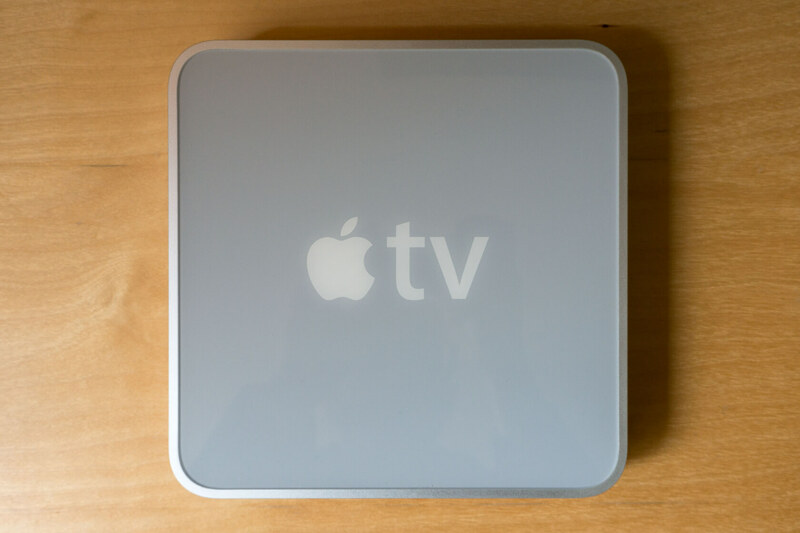 If you are still chugging along on that first generation Apple TV you bought 10 years ago, you might soon be forced into the market for a newer model. Apple just announced that it will be disconnecting the devices, which it now considers “obsolete," from iTunes. On May 25, Apple will roll out security changes to the iTunes Store. This update will not allow devices to access the service without an OS update. Since Cupertino has ended support for the first gen Apple TVs, they will not be patched with the new security measures, effectively making them inoperable. The old streaming boxes are not the only systems affected. Apple also said that since Microsoft no longer supports XP and Vista, computers running those operating systems will no longer be able to purchase from the store either. The iTunes app will still work on XP and Vista but users will not be able to make purchases or redownload previous purchases after May 25. According to NetMarketShare, Windows XP still maintains a 7.27 percent market share despite having not had patches or support from Microsoft for nearly four years. These users will have to upgrade to Windows 7 or later to continue using the iTunes Store. According to Apple support policy, devices discontinued seven or more years ago are considered obsolete and will no longer receive services of any kind including parts, repairs or software updates. Users still clinging to their first generation Apple TV will need to upgrade to a second gen device or newer. Fortunately, DirecTV is currently running a promotion where you can pick up an Apple TV 4K plus three months of DirecTV Now for $105. This is Apple discontinuing their products without thoughts to users. I will never buy an apple product ever. You honestly think they should a) continue supporting a device that was first introduced 11 years ago (January 9, 2007) & was replaced by the next-generation version over 7 years ago (2nd-gen Apple TV introduced September 1, 2010), b) has been declared "obsolete/vintage" for over 2 years now (September 9, 2015), & c) a Windows OS that even Microsoft officially ended all support for nearly 4 years ago (mainstream support ended April 14, 2009; extended support ended April 8, 2014)? You also do realize that these 1st-gen devices date from the same time periods as the iPhone 1 through 4 models & iPod Touch 1 through 4 models? Or the same time frame as Samsung's 1st-generation Galaxy S (I.e. pre-S II)? Burty117, Agnomen, Kenrick and 1 other person like this. That's a bad car analogy, as you can get parts for 57 T-birds. They don't stop running unless you, the owner, give up on it. trgz, Burty117, bohemond1099 and 1 other person like this. And are those parts actually made by Ford, at official Ford factories alongside the parts for their Explorers, Festivas, F-series, etc.? Or are they made by 3rd-party "enthusiasts" & hobbyists that have no official affiliation with Ford? It's not like you can go to your local auto parts store & pick them up off the shelf. Actually, I can...as my iPod Touch (4th gen) is still kicking along. Sure, it's still "stuck" on iOS 6, because iOS 7 & later aren't supported on the 4th-gen models... but that was its third OS (they started with iOS 4), & that last update was 4 years ago. And aside from the battery needing to be charged more often, my 3-year-old iPhone 6 is still working just fine (& still running on iOS 10, because I prefer that they work the kinks out of an iOS before upgrading to it). Why do you think Ford makes it's own parts? They purchase parts from manufacturers around the world and assembles cars. Does Apple let any third party companies support its hardware??? Well yeah, because if they discontinue ALLOWING a device to be used, it's the same as having any person who BUYS an Apple product, concede to the fact they are ONLY RENTING it. Which like like rest of crApple's antics, like throttling older iPhones, is bullsh!t. No, I don't. But 1957 is 61 years ago. 2007 is only 11 years ago. By the same token, your '57 T-Bird, will go as fast as it ever did, you can't say the same for your iPhone 6, now can you? (Oh wait, maybe you'll be able to, after Apple settles the lawsuit against it). trgz, TheBigT42 and marktherob2011 like this.